The 2018 NFL season is upon us, so that means we need to be entrenched in as much fantasy football news as possible. This installment will cover the top 10 NFL running backs for fantasy football in 2018. The list was generated based on a points per reception (PPR) league format. There were several questions regarding Leonard Fournette’s fitness and ability to catch the ball out of the backfield last season. In his rookie campaign Fournette toted the rock 268 times for 1,040 yards, crossing the goal line 9 times. He also caught 36 of his 48 targets from Blake Bortles, stacking up 302 yards receiving yards and one touchdown. 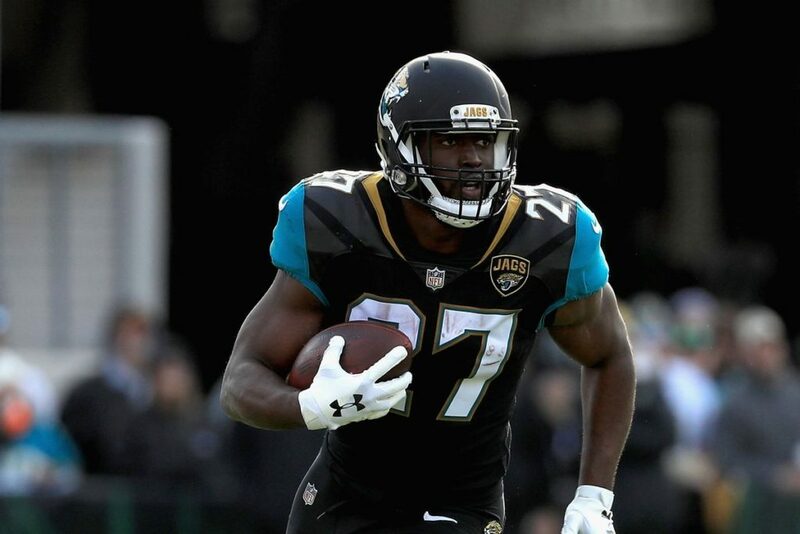 Fournette cracks TWW’s top 10 because he is not only the feature back in Jacksonville, but he is also the primary weapon of the Jaguar’s offense. As long as Bortles is breaking the huddle Doug Marrone will more than likely rely heavily on the run. Fournette finished 9th in the NFL in rushing and has a nasty defense to help him maintain a heavy payload. Fournette is a RB1 and will go late 2ndor early 3rd round in 2018. First of all, this dude hasn’t even taken a snap yet, and I’ve seen “experts” rank Barkley as high as 3rd for NFL running backs. To me, that’s just crazy. Sure, he’s cut like a diamond, he had an extraordinary combine performance, and what he was able to accomplish in college was tremendous. In Barkley’s last two years at Penn State he had 2,767 rushing yards, 1,034 receiving yards and 43 touchdowns. Keep in mind that the Giants have so many weapons on offense including OBJ, Shepard, and Engram. Now Eli has a running back in his arsenal, and he will have to give each their share of targets. 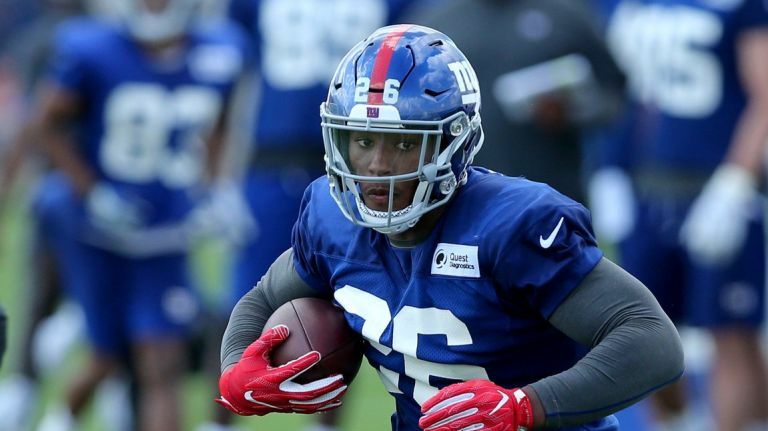 Because of this, Barkley’s payload could be lighter than expected, and I don’t feel that Shurmur will want to overwork his rookie running back. Barkley is RB1 and will go in the 2nd round of most fantasy football drafts this year. 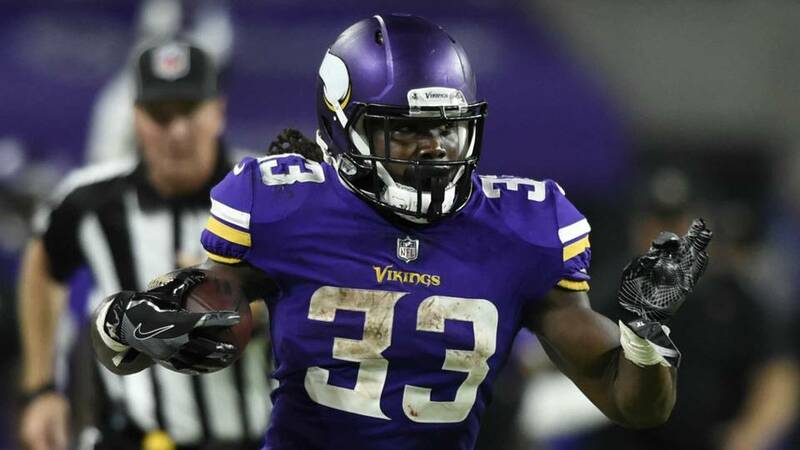 Cook is a dynamic running back that was having a great rookie campaign before suffering a torn ACL that ended his season early. He gained 354 yards on 74 carries. Cook only saw pay dirt twice, but I expect his numbers for touchdowns to be anywhere from 8-12 in 2018. The Vikings added a legitimate quarterback in Kirk Cousins, who can shred opposing defenses for 4,000 yards through the air. This will keep defenses honest and allow for more rushing lanes that Cook can exploit. Cook is a RB1 with 2nd round projection. 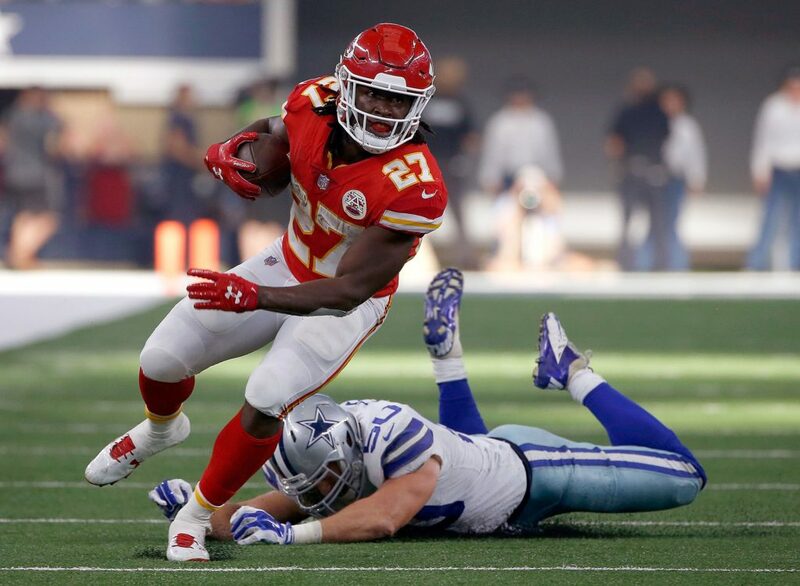 #7 Kareem Hunt – K.C. Hunt exploded on to the 2017 NFL scene in that Andy Reid offense. He rushed for 1,327 yards, with 8 touchdowns in his first year. Hunt also caught 53 of 63 targets, scoring on 3 of them. He’ll have to face the Chargers twice. L.A. had one of the best defenses in the NFL last year only allowing 17 ppg. Traditionally, Denver has a nasty defense, but they struggled statistically in 2017. Hunt is a RB1 that will be drafted in most leagues around the bottom of the 1st or top of the 2nd round. 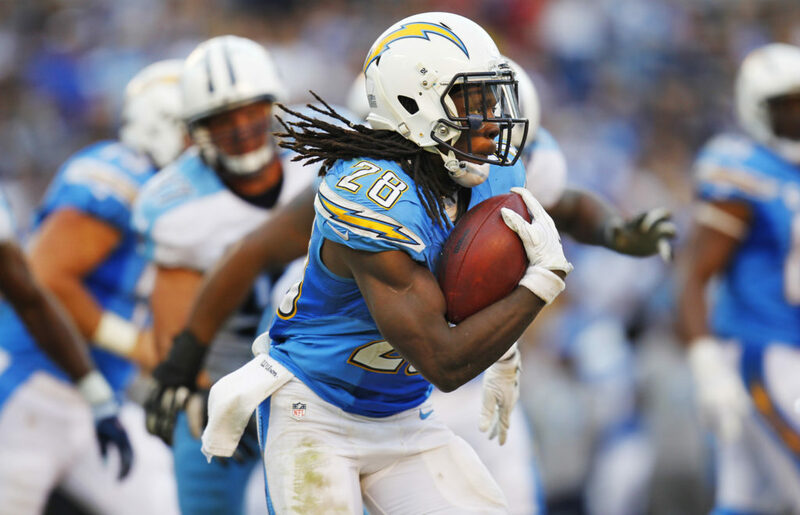 Melvin Gordon finally emerged as a feature back last year in the Chargers’ offense. I was high on his draft stock in 2018 knowing he wouldn’t have to share as many carries as he did in previous seasons, but now I’m holding Gordon’s value even higher because of the injury sustained to the Chargers’ dynamic tight end, Hunter Henry. Gordon toted the rock 284 times in 2017, racking up 1,105 yards and crossing the goal line 8 times. He caught 58 balls out of the backfield, gaining 476 yards through the air. Rivers found him in the end zone 4 times in 2017, and I expect him to be more of aerial threat in 2018, to supplement the loss of Hunter Henry. Gordon is a RB1 and 1st round projection. The term “Dak-friendly” has been the buzzword this offseason for the Dallas Cowboys’ offense. That translates to “Feed Zeke”! With no suspension to interrupt or off-season antics to distract his play, I see Zeke’s payload increase without Jason Witten in the huddle. Dak will need a new safety net to rely on. I believe that will come from Zeke. He was targeted 38 times, snagging 26 of them for 269 yards, and 2 touchdowns. Even with all of last season’s distractions, Zeke was able gain 983 yards off 242 carries, scoring 7 touchdowns. 2018 will be outstanding for Zeke owners. He is a RB1 mid to early 1st round projection. Unfortunately DJ owners only got him for 1 game in 2017. Remember why he was projected #1 or #2 overall going into 2017 for a moment. He was targeted 144 times in 2016, catching 100 of them. That’s 100 points in a PPR league with 1 point per reception. 100 points! He hasn’t even rushed the ball yet and he got 100 points. Expect more of that this year. 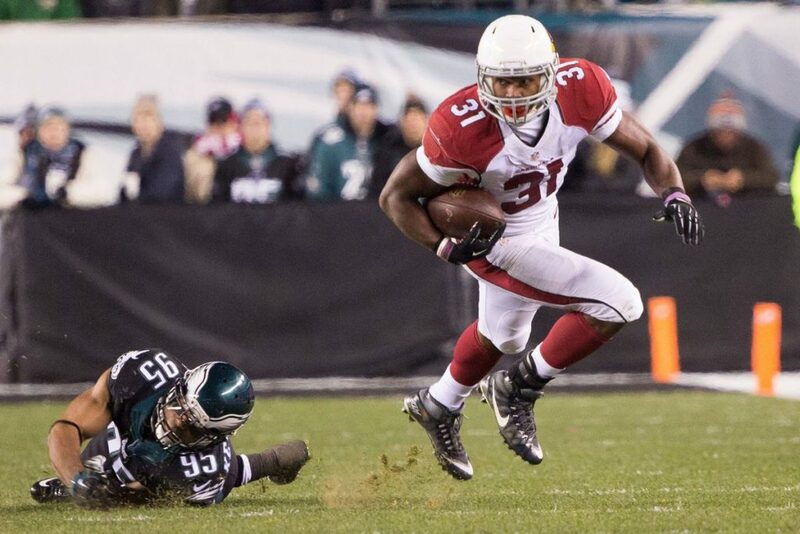 With only Larry Fitzgerald as Bradford’s aerial assault, DJ will certainly be factored in to the passing attack. 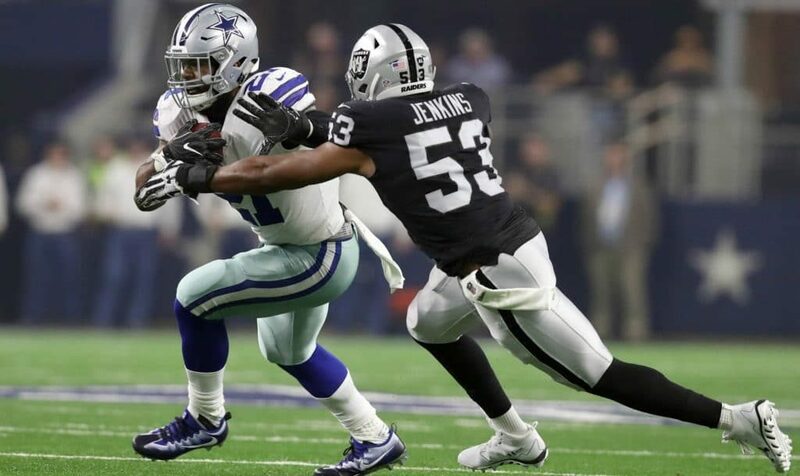 I expect a heavy payload for DJ in 2018, and he will be eager to show that he is one of the elite running backs in the NFL with this being a contract year. DJ is a RB1 and projected top 5 overall in 2018. Gurley was the best fantasy player in 2018. If you had him on your squad, you probably got him in the 2nd round and you either won your league, or were top 3. Gurley was a beast and earned his current payday in 2017, finding pay dirt 13 times. 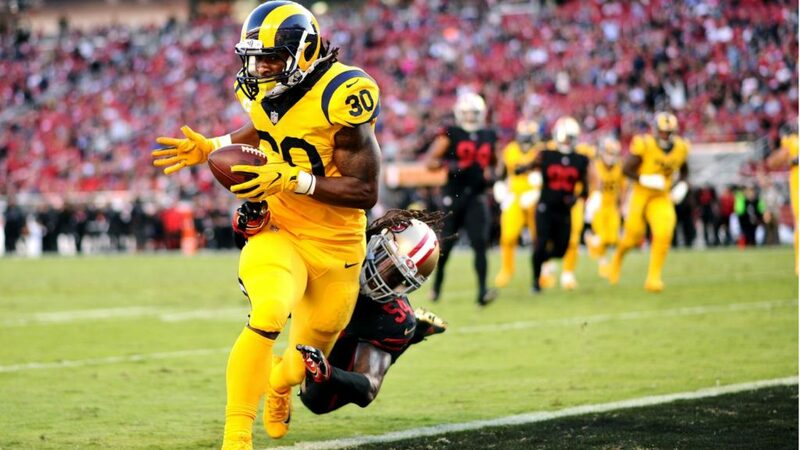 Gurley gained 1,305 yards on the ground on 279 carries. He was devastating in that high-powered Rams’ passing offense catching 64 balls for 788 yards. Gurley also caught 6 touchdowns in 2017. Gurley is aRB1 and projected to be a top 3 pick in 2018. Undrafted in most leagues in 2017, Alvin Kamara has lost the element of surprise. And without his running mate, Mark Ingram, for 4 games, Kamara is also projected top 3 overall in 2018. 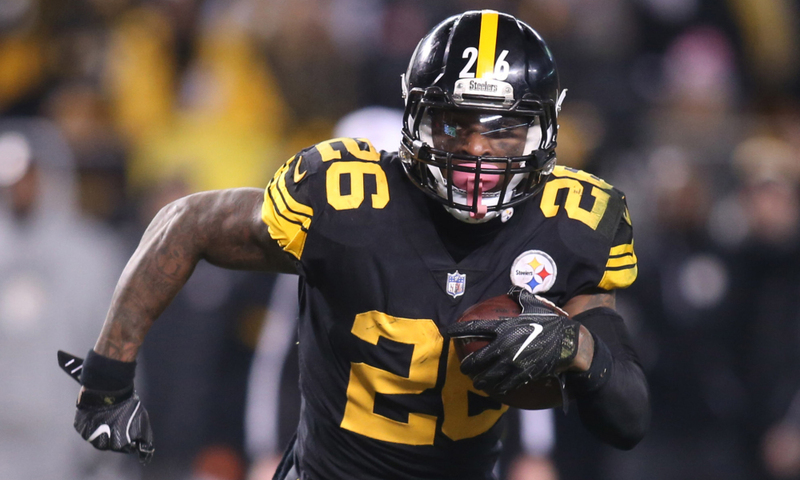 This is a running back whose role could easily reflect that of highly coveted Le’Veon Bell. His ability to attack opposing defenses out of the backfield as a receiver makes him incredibly valuable. Linebackers simply cannot cover him. Last season through the air Kamara caught 81 of 100 targets from Drew Brees, tallying 826 yards and 5 touchdowns. On the ground Kamara was just as deadly. 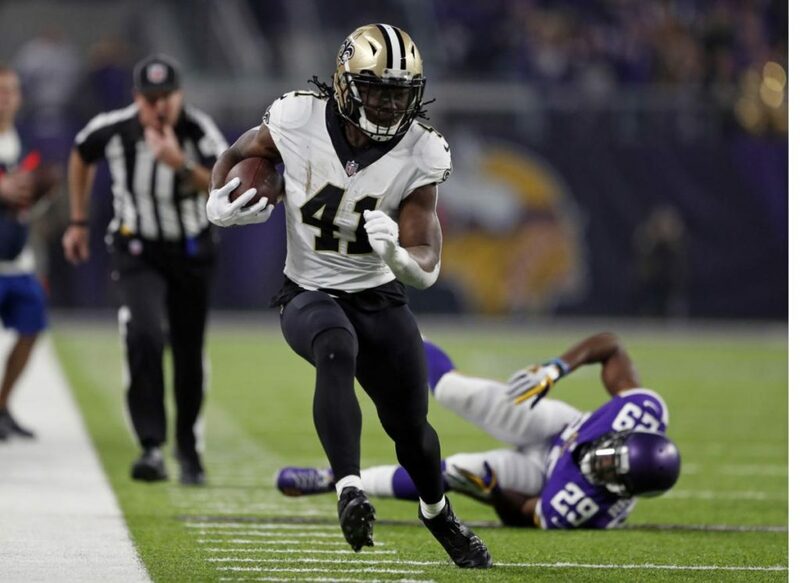 While sharing the Saints’ backfield with Mark Ingram in 2017, Kamara was able to gain 728 yards, scoring 8 touchdowns. 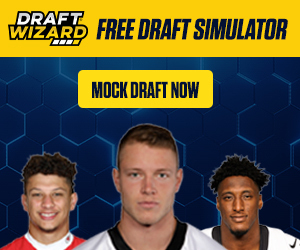 Kamara is a RB1. and I would pick him as high as 2nd overall in PPR leagues. He’s that good! Finally,the most valuable player in fantasy football, Lev Bell is not only my #1 running back in fantasy football for 2018, Bell is my #1 overall. Coming off another off season contract dispute, and having the franchise applied to him again, Bell will be looking to prove that he is the best RB in the league. He has already vowed to the Pittsburgh faithful that 2018 would be the best year of his career. He is hungry! He toted the rock 321 times last year for 1,291 yards for 9 touchdowns. He was targeted 106 times, catching 85 balls for 655 yards. He caught 2 touchdowns as well. Bell plays in the AFC North, where the defenses aren’t as strong as they have been in pervious seasons. I am buying what Bell is selling in 2018.